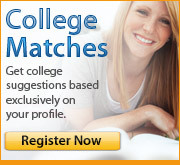 Are you thinking about going to college, but don’t have the money? By joining the Army National Guard, you can attend college full-time, serve your country and community and train for a military occupational specialty (MOS). Enlisting in the Guard requires you to serve a minimum of one weekend a month and two weeks a year, usually during the summer. This means you can attend college full or part time and even have time to work another part-time job on top of receiving your monthly Guard paycheck. Before enlisting, you must take the Armed Services Vocational Aptitude Battery (ASVAB) test to determine your qualifications and Military Occupational Specialty (MOS). Your test scores determine your MOS which can include everything from aviation to mechanical to administrative duties. No matter which MOS you qualify for, the skills you’ll develop will be important for a career outside of the military. It’s like getting paid to train for a career and receiving an education at the same time! You must also pass the Army Physical Fitness Test, be at least 17 years old and have a high school diploma or GED. If you don’t have your diploma, the National Guard will pay and train you to get your GED with the GED Plus Program, provided you enlist and meet certain qualifications. For more information on joining the Army National Guard, call 1-800-GO-GUARD and ask to speak to your local recruiter today.